Delta Health Technologies® is proud to announce the availability of AppointMate® Companion -- a tool allowing caregivers to clock in and out and to view care plan tasks on their smartphones. Delta created Companion to help our customers improve care plan compliance and provide more opportunities for their caregivers. 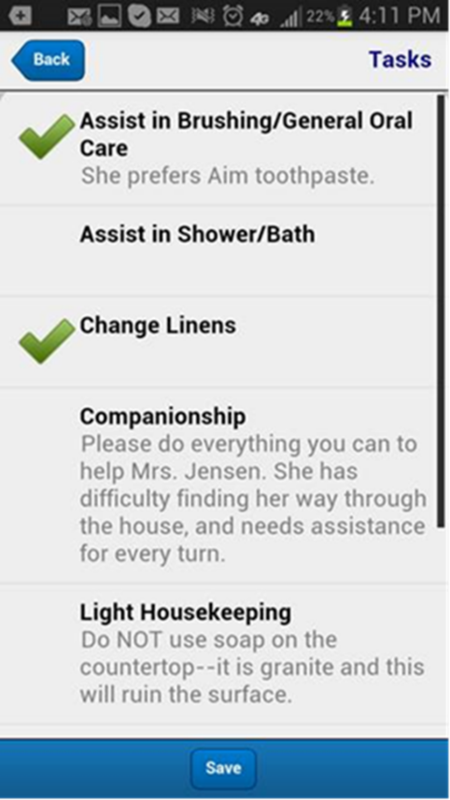 This new tool gives caregivers the information that they need at their fingertips. To learn more about Companion, visit this page and request a demo.